Fruit – Strawberries, melons, peeled bananas, whole fruits, scraps, over-ripe pieces – they’ll be happy with just about anything that you give them. Vegetables – Treat them to whole veggies, peels and stems, wormy specimens from the garden or even your dinner leftovers (as long as they aren’t too salty). 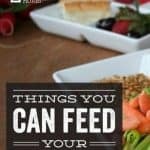 Grains – Cooked rice, pasta or grits, oatmeal (cooked or not), dried corn, popcorn (sans the salt and butter), not-too-sugary cereals and wheat are just a handful of the grains that they’ll happily gobble up. Just save the corn for the winter months; it has low nutritional value, but will give them the extra calories that they need to stay warm when the thermometer takes a dive. Seeds – Unsalted sunflower seeds (shelled is best) and pumpkin seeds are sure to get their attention. Bread – Leftover bread is okay as a once-in-a-while treat. Cooked Meat and Fish – Chickens are omnivores, and will happily eat meat, if you decide to give it to them. Just be sure to stick to non-salty cuts, if you do. Eggs – Give them cooked eggs to boost their protein, and crumbled shells to boost their calcium. Just don’t give them raw eggs, or they may develop a taste for those eggs in their nesting boxes. 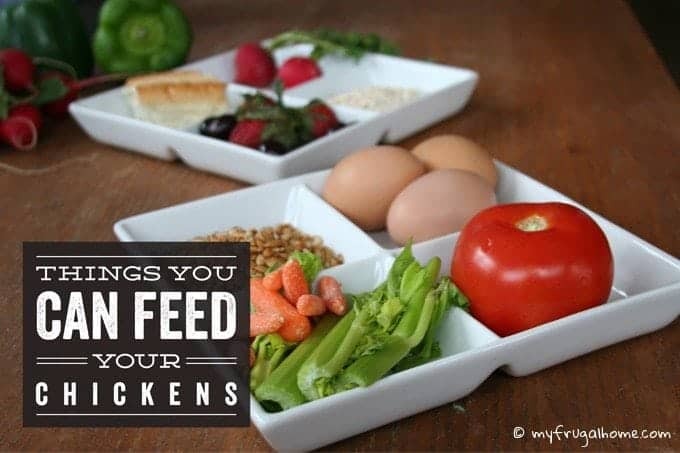 If you allow your chickens to free-range full-time or part time, they’ll also find plenty of things to eat in your yard. Bugs, worms, slugs, weeds, dirt – and even small rocks – are an important part of their diet (they’ll use the rocks to grind up all that other stuff). You may even catch them munching on the occasional mouse. Surprising, but true. Feed stores sell all sorts of chicken supplements – grit (to help with digestion), crushed oyster shells (for added calcium), cracked corn and scratch (to boost calorie intake in the winter) and flock blocks (to help with winter boredom). Every chicken-keeping situation is different, so pick and choose the supplements that seem right for you and your flock. would perinneal peanut sod be harmful for chickens to eat? According to the University of Florida Institute of Food and Agricultural Sciences, perennial peanut is safe for poultry to eat.